“Target journalists, bloggers and media outlets who matter to you”. Get your message into the right hands at the right time. Targeting the right media and bloggers who are specifically looking for news related to your industry plays a strategic role in the success of your communications. Sending VNR to Newsroom is a good way to secure visibility on news bulletins and specialised programs. Two version of VNR should be made to spread the message ; one completed clip ready to air and other rough video that incorporate a variety of different camera angles with natural sound, so that individual news station can construct news stories that reflect their own styles and formatting. Edit the right VNR avoiding material that is too biased, too promotional or too controversial is key because all your effort will be wasted and the footage will not be aired. Having access to updated media lists, can help you increase your coverage and build productive relationships with journalists, bloggers and influencers. Journalists, editors and writers are constantly searching to find quotable sources for their stories and content. By promoting experts in your company who have valuable insight into the topics surrounding your industry, you increase your companyʼs ability to get major media attention. Make your experts available to the media to comment on breaking news as it happens. Live interview with key players in any industry rather than news reporter are becoming the new trend for TV Stations. 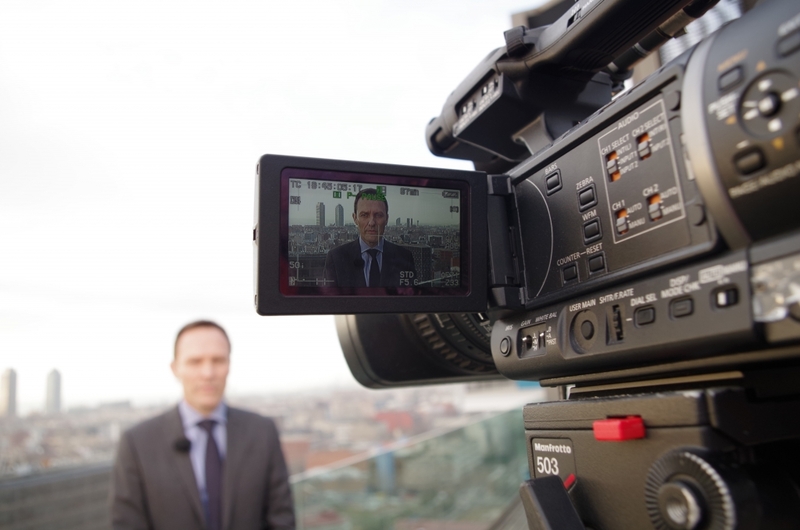 Facilitate the technical equipment and the expert at the right time is the best way to increase the chances to be on air in news bulletins or specialised programs. Film Crew in Barcelona ? We offer you reliable english speaker crew for your productions. ©2015 Video Broadcasting Catalonia S,L.